In just a few short days, NBC will capture the attention of viewers as they tune in for the 11th season premiere of the hit show, The Voice. 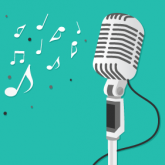 There is a lot to look forward to as vocalists from all over the country perform for celebrity musician coaches through the infamous blind audition process that hooked viewers from the start. For the lucky contestants, one of the coaches, if not multiple, will like what they hear and trust their gut to select the individual for their team. This sounds a lot like extending a job offer, doesn’t it? Just like the diverse vocalists that start their journey on the show, your company’s new hires come from many backgrounds and experience levels, and having someone dedicated to their success will spark their full potential early on. Consider these three takeaways that The Voice has to offer to rock your employee mentorship program. This season of The Voice will introduce mentors ranging from Joan Jett all the way to Charlie Puth, dedicating time outside of their own careers to share some expertise with the newest industry entrants. Selecting employee mentors that are passionate about providing support, feedback, and advice to new employees will set the tone for a successful mentorship program. Employees are more willing to exude a positive energy throughout their first few days when they feel that their mentor is placing that same enthusiasm in their progress. The experience that a new hire has with their mentor can influence their engagement with the company and 89 percent of employees feel that it is important for their employer to support learning and development. Millennials, in particular, are more willing than ever to seek advice for their professional growth and would be happy to see that a company has provided that to them from day one. Pair your new hires with mentors that love what they do and that will guide new employees to rock star potential. An impactful employee mentorship program is driven by equal effort from both parties. Weekly, we watch the mentors of The Voice dedicate individual time to each contestant and respond to their personal needs to advance them throughout the competition. That consistent one-on-one time creates an environment where individuals are happy to put in extended work and impress their coaches. New employees may have little experience with mentorship programs outside of their initial onboarding, so it is important to set regular meeting times to monitor their progress while extending support throughout the adjustment period. Setting the stage for open communication up front will allow employees to feel comfortable about expressing concerns or seeking advice as time goes on, while providing plenty of time for both parties to ask questions and share opinions on the process. Each contestant on The Voice shares the goal of improving their existing skillsets to succeed when it comes time to hit the big stage. A new employee has the same mindset when joining a company for the first time and mentors can help them solidify their goals to define success in their roles. Clarifying specific objectives will map out a clear path for new employees and identify areas for advancement as their potential becomes greater. Mentors act as the source that holds new employees accountable for reaching new heights through observing milestones along the way to meeting goals. Whether it’s the first night of blind auditions or the final stage performances, The Voice mentors continue to provide guidance to contestants and employee mentors should do the same. A successful mentorship program will never cease to encourage individuals to exceed their own expectations. The success of a mentorship program relies on the impact that is made on the mentee. As season 11 progresses, be on the lookout for these key takeaways to ensure your new hires excel. For more mentoring tips, follow up with Why Your Company Needs an Employee Mentoring Program.